Deploy How You Want Switchvox can be deployed in multiple ways, each with the same all-inclusive feature set. Simply choose the deployment method that is right for your organization to get the most out of your communications system. If you are looking for a hands-off phone system that doesn’t require an IT staff and fits into an OpEx spending model, choose Switchvox Cloud. If you prefer complete control, a larger user capacity and a CapEx spending model, Switchvox on a dedicated server is the way to go. If you are already running your business in a virtual environment, Switchvox software will easily fit into your existing systems. Unlike other proprietary systems, Switchvox gives you more value for your purchase. With all features included, multiple deploy-ment options, less add-on fees, and a simplified pricing model, Switchvox is the best value in UC. from your desk phone or Switchboard. Switchvox is more than just a business phone system. 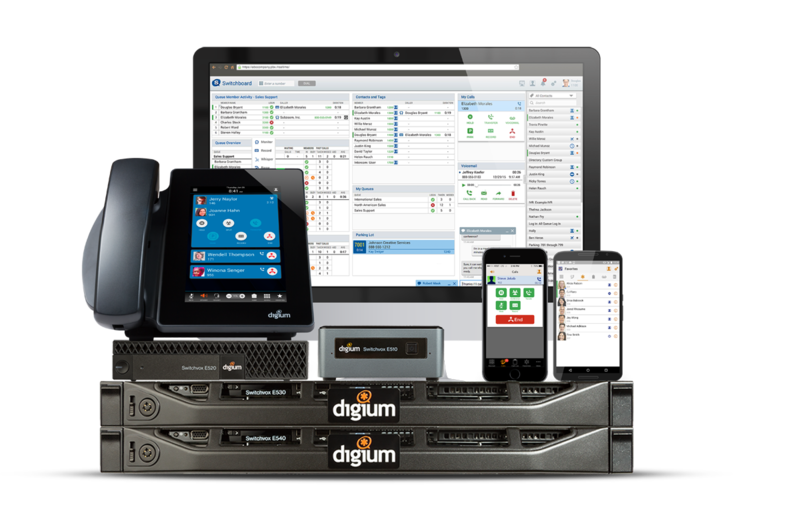 When combined with Digium D-Series phones, it is a complete Unified Communications solution. The system combines the power of many features into one, such as a conference bridge, chat/instant messaging server and IVR. Consolidate some of your office activities and save more money in the process.